The Danish insurance industry originated with three different industries, namely building fire insurance, other non-life insurance and life insurance. Since Denmark's entry into the EU in 1973, the legislation on insurance has been fundamentally changed, and the formerly sharp distinction between insurance forms has ceased. Subsequently, a number of large insurance groups providing all types of insurance have emerged in the industry. The majority of insurance companies in Denmark are members of the Danish Insurance Association.4 The Danish Insurance Association is the trade organisation for the insurance industry as well as the pensions industry in Denmark. Foreign insurance companies doing insurance business in Denmark through branches are also eligible for membership. The Danish Financial Supervisory Authority (FSA) is responsible for supervising the financial sector, including insurance companies and insurance intermediaries doing business in Denmark.5 Clause 11(1) of the Financial Business Act states that undertakings that carry out insurance activities, including reinsurance activities, shall be licensed as insurance companies, or as captive reinsurance companies. The most important supervisory activity of the FSA is monitoring whether undertakings have adequate own funds to cover their risks (supervision of solvency). In March 2015, the Solvency II Directive was implemented into Danish law with effect from 1 January 2016. As a result, insurance companies (both life and non-life insurance) are divided into Group 1 insurance companies and Group 2 insurance companies. Group 1 insurance companies must comply with the requirements resulting from the implementation of the Solvency II directive, while Group 2 insurance companies must follow simplified, national solvency regulation and changed investment rules that are based on the Solvency II Directive. The FSA, in its capacity of supervising insurance companies and intermediaries doing business in Denmark, operates the following three different insurance registers. The regulation in EU Directive 2002/92/EC of 9 December 2002 on insurance mediation was implemented into Danish legislation with the Insurance Mediation Act (Act No. 362 of 19 May 2004). This Act entered into force on 1 January 2005, from which date undertakings wanting to mediate insurance products were required to register in a public register of insurance broker undertakings. In accordance with the latest amended Consolidated Insurance Mediation Act No. 1065 of 22 August 2013, only undertakings and persons who have been given authorisation by the FSA may carry out insurance broker activities. name of the person or persons who are responsible for the insurance mediation. With the latest amended Consolidated Insurance Mediation Act No. 1065 of 22 August 2013, any sub-agency or management company that enters into a contract on sales of insurance products with an insurance agency must register in a public register (sub-agency register). Sub-agencies are not allowed to mediate insurance unless the sub-agency or the management company has been registered in the electronic register. This register includes, in general, the same kind of basic information as the above. The Insurance Mediation Act entered into force on 1 January 2005, and it was amended most recently by Consolidated Act No. 1065 of 22 August 2013 on Insurance Mediation. The FSA has issued an executive order in pursuance of Section (Clause) 27(4) of the Insurance Mediation Act, which allows individual insurance companies to enter into agreements with the Danish Insurance Association on keeping the register in question. The Consolidated Insurance Mediation Act stipulates that insurance companies and reinsurance companies that enter into an agreement with an undertaking or a management company on mediation of the insurance company's products must keep a publicly available register of these undertakings (insurance agencies and management companies). Insurance agencies are not allowed to mediate insurance unless the insurance agency or the management company has been registered in the electronic register. As insurance business activity is a regulated activity, insurance or reinsurance companies are required to have a licence or another legal basis for carrying out insurance activities in Denmark. Insurance companies from other EEA countries may do insurance business in Denmark on either an establishment or a freedom-of-services basis. Reference should be made to Clause 30/31 of the Financial Business Act. For foreign EEA insurance companies, the company will be considered as established in Denmark if it sets up a Danish branch or if the company appoints a Danish insurance agent with permanent authority to enter into insurance contracts on behalf of the insurance company, in which case the insurance company must appoint a general agent. Foreign EEA insurance companies doing insurance business in Denmark are subject to the supervision of the home regulator of the insurance company. However, the insurance company is required to observe Danish good business practice rules, consumer protection regulation and certain insurance contract requirements that are contained in, for example, the Insurance Contracts Act. Insurance and reinsurance companies from non-EEA countries are, in general, unable to carry out insurance business in Denmark on a freedom-of-services basis, and are unable to passport any licence with the company's home regulator. In this situation, the insurance or reinsurance company is required to set up an insurance company or a branch in Denmark and apply for a licence with the FSA to be admitted as an insurer in Denmark. There are limited possibilities for non-admitted insurers to cover Danish risks, but it is not illegal under Danish law to procure insurance cover for Danish risks from a non-admitted insurer. Insurance intermediaries are, however, not allowed to facilitate or assist in such procurement, and non-admitted insurers are not allowed to actively market their insurance services in Denmark. The main source of law in Danish insurance is the Insurance Contracts Act,6 which regulates insurance contracts. The Act provides a number of supplementary provisions that to a certain extent are mandatory, governing the relationship between the insurance company and the insured. In addition to the general rules that apply to all insurance contracts, the Act also contains special provisions for certain types of general insurance, life insurance, and accident and health insurance. The Insurance Contracts Act applies unless the parties to the contract agree otherwise. However, the Act is based on a fundamental idea of unequal bargaining power between the insurance company and the insured, and therefore several provisions of the Act are mandatory in order to protect the insurance seekers. Where the Insurance Contracts Act states the rights and obligations of the parties to an insurance contract, the conclusion and completion of a contract is regulated by the principles of Danish contract law. The Insurance Contracts Act does not define the concept of an insurance contract, and thus does not contain any provisions for concluding any such contract. Instead, the Contracts Act,9 which is the general statute governing the formation of contracts, applies. Under Danish contract law, there is a general principle of freedom of contract. There is a slight modification as regards insurance contracts as there are some areas where it is required by law, agreement or customs to have taken out insurance (e.g., for motorised vehicles). Contracts are formed on the basis of a concurrent offer and an acceptance. The most frequent way an insurance contract is formed is when an insurance seeker applies for coverage by the insurance company and the insurance company accepts this application. The application will most commonly be a printed form that the insurance seeker must fill out. If the insurance company agrees to provide coverage based on the provided information, it will send back an insurance policy together with the company's general terms and conditions. The insurance policy constitutes the contract that confirms in writing and describes the terms and conditions that the parties have agreed upon. When concluding an insurance contract, the insurance company takes the financial risk of damage from the insured. According to the Insurance Contracts Act, the insured owes a duty of disclosure and answering and is hence required to answer the questions on the application form truthfully and to provide any other relevant information to the insurance company. The insured must show good faith until he or she has filled out, signed and sent the application. If the insured fraudulently provides incorrect information or fails to disclose a fact likely to be of importance to the insurance company, the contract is not binding. 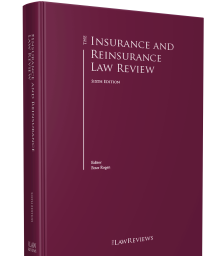 The interpretation of insurance contracts is subject to the general principles of Danish contract law. Different rules of interpretation apply depending on the contract type. The majority of insurance contracts consist of standard terms, which is why the standard method of interpretation is based on the wording of the insurance contract. Case law follows a rule of clarity when interpreting the terms and conditions that are usually drafted solely by the insurance company. Thereby, any doubt as to the contents will usually be interpreted against the insurance company (contra proferentem). The role of the insurance broker is to provide the insurance seeker with consultancy and thereby present different possible insurance solutions without there being an agreement between the broker and an insurance company. The broker works independently as opposed to another intermediary – the insurance agent – who carries out practical arrangements with insurance companies to sell their products. In general, the process for filing a claim with the insurance company is described in the insurance policy along with the terms and conditions. Upon the occurrence of an insured event, the insured is required to notify the insurance company without undue delay. If the insured does not follow this provision, the insurance company will not be liable to a further extent than had timely notice been given. The insured has to provide the insurance company with all the information necessary for the insurance company to assess the claim, including the insured event and the economic compensation. Interest on a claim against the insurance company will begin to accrue no later than 14 days after the insurance company has been able to retrieve the information necessary to assess the insurance event and determine the size of the damage compensation. If a dispute occurs between the insured and the insurance company, it is possible to file a complaint with the Insurance Complaints Board instead of proceeding directly to litigation. Issues of regulatory matters or good business practice are not subject to review. It is not a requirement that the insurance company to the dispute is a member of the Insurance Complaints Board although the majority of insurance companies doing business in Denmark are members. As the Insurance Complaints Board is a private body, insurance companies are not per se bound by their decisions, but the insurance company in question has to inform the Insurance Complaints Board within 30 days from the date of the decision if it does not intend to be bound by the decision. Any third party suffering damage or loss can make a direct claim against the liability insurer of the insured tortfeasor if the liability of the insured has been established and the size of the economic compensation has been determined. Furthermore, the third party suffering damage or loss is able to make a direct claim against the liability insurance company of the insured in the event of the bankruptcy of the insured. An insurance company subrogates into the legal status of the insured in the legal relationship with the tortfeasor. After having compensated the insured, the insurance company can claim recourse for the amount paid from the tortfeasor if, and only if, the tortfeasor is liable for the damage causing the compensation to be paid. Liability is determined after the general standards of Danish law, namely tort law or any contractual obligation the tortfeasor may have towards the aggrieved party. Denmark has ratified the relevant parts of the Brussels I regime and the New York Convention on international arbitration, and court decisions passed by an EU country as well as arbitration awards passed by arbitration boards under the New York Convention can therefore be enforced in Denmark. In addition, Denmark has ratified the Rome Convention on choice of law. Under Danish law, arbitration clauses are generally considered valid and enforceable in the sense that an ordinary court will respect such clauses, if agreed, and therefore will dismiss lawsuits upon request from the defendant if the dispute is subject to arbitration. Danish courts, however, require a somewhat high degree of clarity regarding arbitration clauses, at least outside professional business relations and also tend to impose limitations on the applicability of such clauses. A textbook example is arbitration clauses referring the interpretation of an agreement (but not the legal classification on whether, for instance, an action constitutes a material breach) to arbitration. Such wording is in risk of not providing arbitrational jurisdiction over a dispute on material breach. The leading arbitrational institute in Denmark is the Danish Institute of Arbitration,12 which is widely renowned for its high standards and competence. The Danish judicial system consists in broad terms of 24 district courts, two High Courts (an Eastern and a Western Division), the Maritime and Commercial Court, and the Supreme Court. Decisions passed by the district courts can be appealed to the relevant High Court (district courts in Jutland to the Western Division, and district courts on Funen, Zealand and Bornholm to the Eastern Division). Decisions passed by the High Courts can be appealed to the Supreme Court. The Maritime and Commercial Court is a specialised court mainly dealing with principal intellectual property matters, international commercial disputes, maritime disputes and principal employment law disputes, and always functions as a first instance court. Decisions passed by the Maritime and Commercial Court can be appealed to the Supreme Court if the dispute is of a principal nature, and otherwise to the High Court. A lawsuit is initiated by the claimant filing a writ of summons with the relevant district court. The writ of summons should be accompanied by the relevant exhibits that the claimant will invoke. In addition, the writ of summons should state the witnesses that the claimant wishes to hear during the main procedure of the case. The defendant is then requested by the court to file a defence, which should also be accompanied by any relevant exhibits that the defendant intends to invoke. In addition, the defendant should state any relevant witnesses. After the filing of the defence, the court will normally convene for a conference call to discuss and decide on the following steps, and often also schedule the date or dates for the main procedure of the dispute. If either the claimant or – more often – the defendant has formal objections to the matter, for instance that Danish courts do not have jurisdiction over the matter, the party in question can request that an interim decision on this is made. If so, the relevant part of the dispute is separated from the main dispute, and the parties are then requested to exchange written pleadings addressing these separate topics, and a separate or interim procedure is then scheduled, dealing with these separate topics. Otherwise, the parties exchange any additional written pleadings on the main dispute accompanied by any relevant exhibits, the first one normally being the claimant's reply, followed by the defendant's rejoinder. As a general rule, the parties may continue filing written pleadings until four weeks prior to the main procedure. Unlike common law systems, the Danish judicial system does not provide for a discovery phase, and depositions cannot be used. During the main procedure, the legal representative of the claimant presents the dispute to the court by introducing the invoked exhibits, followed by the witness statements from the parties and witnesses. After this, the legal representatives provide their closing arguments, starting with the claimant, and then the dispute is referred to the court for its decision, which as a general rule must be passed within four weeks in the district courts and for appeal decisions by the High Courts, and within two months for other decisions. Civil disputes are heard and decided upon by one judge in the district courts. If the matter is of a principal nature, three judges are appointed. In the High Court, all disputes are heard and decided by three judges, and in the Supreme Court by an odd number of judges (a minimum of five) depending on the importance of the dispute. In the Maritime and Commercial Court, the panel generally consists of one judge and two or four expert assessors. Expert assessors can also be appointed in the district courts. Jurors do not participate in civil disputes. Like the vast majority of Western judicial systems, the Danish judicial system operates with a two-instance trial system as a general rule, allowing for a second appeal only in principal matters, and is subject to authorisation by the Appeals Permission Board. As a general rule, all lawsuits are initially filed with the relevant district court. If the matter is of a principal nature, each party (or the district court) can refer the matter to either the relevant High Court or to the Maritime and Commercial Court to decide on the dispute in the first instance. Decisions by a court that do not conclude the dispute are court decisions13 or court orders, and are appealed by filing with the deciding court, which then forwards the appeal to the appeal instance. The deadline for such appeal is two weeks. Judgments by a court concluding the litigation process are appealed to the appeal instance. The deadline is four weeks. However, the judgment becomes enforceable if not appealed within two weeks. The Insurance Complaints Board handles around 2,000 cases per year, and the fee for a complaint is 200 kroner. The normal time from submission of a complaint to a decision is six to eight months. The chair of the Board is a Supreme Court judge. Complaints may concern any legal issue arising out of the relationship between the customer and the insurance company. However, the dispute must concern an issue relating to the law of property and obligations, which means that it has to be of a financial nature. Complaints solely regarding ethical issues are outside the scope of the Board's competence. As a rule, the Board will only consider complaints concerning insurance taken out by private individuals (consumer insurance). However, the Board will consider all complaints concerning motor insurance. The Insurance Complaints Board does not deal with complaints that come within the scope of the remit of a public authority, or another appeal or complaints board. It also does not handle issues that have been settled by a final judgment, validly binding arbitration or court settlement, or issues regarding criminal proceedings. Any decision by the Board may be brought before the relevant city court. In broad terms, evidence can be divided into written evidence (documents, drawings, photos, etc.) and witness statements. Documents are submitted to the court in connection with the filing of the written pleadings, and witness statements are presented during the final procedure of disputes. Under certain circumstances, written witness statements can also be submitted as evidence. Thus, the Danish judicial system is unfamiliar with the concept of depositions. Witness statements are presented before the judge or judges and are subject to a duty of truth. As mentioned in Section IV.ii, above, the Danish judicial system does not operate with a discovery phase. During the past 10 years, the courts have, to an increasing extent, liberalised the admission of evidence and, generally, all types of evidence are admissible with the following exceptions. Unilateral expert survey reports prepared after the lawsuit was initiated are, as a general rule, not admissible whereas expert survey reports made prior to initiating the lawsuit will normally be admissible. Likewise, witness statements from expert witnesses are normally not allowed. Instead, a party – typically the party subject to the burden of proof – can request that an expert survey is conducted. This is done by requesting such to the court, which then appoints an independent expert surveyor to conduct the survey. Legal costs can be divided into two categories: court admission costs in connection with filing a lawsuit or an appeal, and legal fees awarded to the prevailing party. Court admission fees are 500 kroner plus 250 kroner plus 1.2 per cent of the value exceeding 50,000 kroner (capped at 75,000 kroner) of the value of the matter, which is payable upon filing of the writ of summons or request for appeal. An additional 1.2 per cent with the same minimum or cap is payable three months prior to the closing procedure. As previously mentioned, the court admission fee is also payable in connection with court claims lodged by the defendant and in connection with an appeal. If the defendant is ordered to pay, for example, 100,000 kroner and appeals this decision, court admission fees of 1,350 kroner are payable in connection with filing the appeal. The court admission fees are increased by 50 per cent if the case is appealed to the Supreme Court. In addition to the court admission fees, the court will automatically, as an integrated part of a judgment, decide on the legal fees to be awarded to the prevailing party. The amount depends on the matter value, the duration and extent of the dispute, and whether an expert survey has been conducted, and, within specified limits, the courts will use their discretion. In addition to the guideline amount, the court will grant the prevailing party full coverage of any court admission fees. The guideline amounts are independent from the actual legal fees borne by the prevailing party since Danish courts will not accept a recovery claim based on factual costs. As mentioned in Section IV.i, above, Danish courts accept the validity of arbitration clauses. In general terms, arbitration disputes are dealt with in accordance with the process described for litigation before the ordinary courts; however, there are stricter deadlines for exchange of written pleadings, a different cost structure and no possibility of appeal. Arbitration disputes are dealt with in accordance with the process described for litigation before the ordinary courts. However, arbitration procedures are normally more lenient and liberal in relation to admitting evidence than ordinary courts. In relation to awarding fees to the prevailing party, arbitration proceedings will also, to a large extent, follow the overall principles applicable to civil litigation before the ordinary courts. The size of court admission fees, however, depends on the arbitration tribunal in question. In addition to the mediation option provided by the ordinary courts, mediation is also offered by private institutions – the Danish Institute for Mediation17 being the most widely known. Danish courts facilitate voluntary mediation as a more or less integrated part of an ordinary court process. In connection with a request to the defendant to submit a defence, the parties are normally asked whether they would prefer to attempt to mediate the dispute. If both parties agree, the dispute is referred to mediation, and the formal dispute is put on hold. At any stage until a settlement has been reached, each party can withdraw from the process, and the civil dispute process then continues. Many court judges are also certified mediators and can chair a mediation process. If the mediation is unsuccessful, the mediating judge will not decide on the dispute. In 2010, the Danish disaster scheme was expanded to include flood damage, storm damage and damage caused by extreme flooding from rivers and lakes. This flood scheme is a public scheme that is regulated by the Act on Floods. The scheme covers damage to buildings and goods for both private homes and businesses. The coverage is provided for by law and is thus not part of people's own private insurance. To be entitled to receive compensation, the damaged property or goods (or both) must be covered by taxable fire insurance, and the damage must be reported to the insurance company within two months after acknowledgment of flood. The scheme is financed by a fee of 30 kroner per fire insurance policy. The funds of the scheme are public. Hence, payment of compensation does not affect insurance companies' finances. The insurance companies carry out case processing of flood damage to their own customers, which is done according to the rules of the Storm Council. The Storm Council declares whether there has been flood. In recent years, a number of floods in Denmark made it clear that climate change is already affecting the cities and the areas close to the 7,000 km coastline of Denmark. In response to the floods, local authorities have developed climate adaptation plans and water companies have invested in measures enabling them to handle more, and heavier, rain. In collaboration with other relevant Danish entities, the Danish Insurance Association is implementing a campaign called Regn og byer ('rain and cities') from 2017 until 2019. Another collaboration aims to implement technological solutions in sewers. The idea is that these will warn homeowners and the local authorities of torrential rain storms, making it possible for them to take precautionary measures against water damage. 1 Philip Graff is a partner at Bird & Bird Advokatpartnerselskab. 2 The Danish Insurance Association, statistics available at www.forsikringogpension.dk/presse/Statistik_og_Analyse/statistik/forsikring/selskabstal/Documents/Balancesum%20for%20forsikringsselskaber.pdf. 3 The Danish Insurance Association, statistics available at www.forsikringogpension.dk/presse/Statistik_og_Analyse/statistik/forsikring/selskabstal/Sider/Balancesumforforsikringsselskaber.aspx. 6 Consolidated Act No. 1237 of 9 November 2015. 7 Insurance of maritime vessels (above a certain size) is normally covered under the Danish Maritime Hull Conditions originating from 1934. 8 Consolidated Act No. 266 of 21 March 2014. 9 Consolidated Act No. 193 of 2 March 2016. 11 Consolidated Act No. 1065 of 22 August 2013. 13 Court decisions cannot be appealed.